He faces from 10 to 15 years in jail. On 9 December, the Prosecutor-General's Office (PGO) completed a pre-trial investigation into the former head of ex-President Viktor Yanukovych's Party of Regions faction, Oleksandr Yefremov. 5) High reason, meaning the actions committed by a Ukrainian national to the detriment of the sovereignty, territorial integrity and inviolability of Ukraine, in particular by helping a foreign organization and its representatives to carry out subversion in Ukraine (Article 111 Part 1 of the Criminal Code of Ukraine, punishable with an imprisonment from 10 to 15 years). 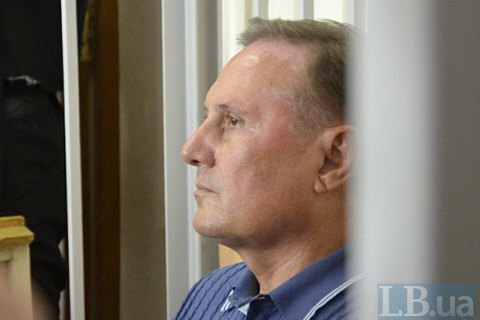 Yefremov has been kept in custody since 30 July. High treason was not initially on the list of charges pressed against him.